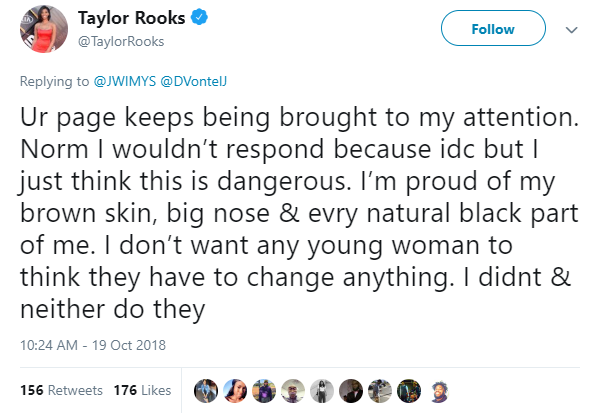 Taylor Rooks is a famous sports journalist and broadcaster, currently appearing on The Bleacher Report and Turner Sports. She’s especially famous among men, for reasons. 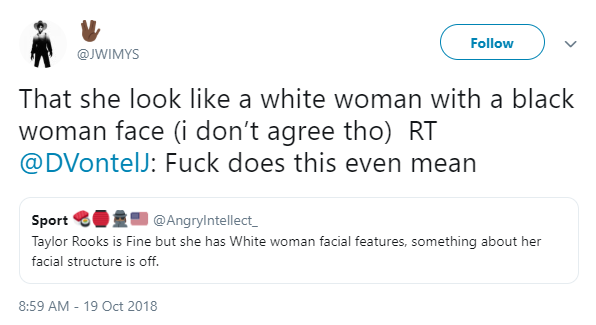 Some Black men have been saying that there’s something off about her face, and that she has white woman features, to the point where she kept noticing people talking about it.